Head of the Red Crescent Society in Lorestan province, Sarem Rezaee, said the operations have already started in the city by distributing basic goods among the citizens of the city. “At least six rescue helicopters from Gilan, Kermanshah, Kurdistan, Markazi, Kohgiluyeh and Boyer-Ahmad and Tehran provinces have been dispatched to the city to conduct aid operations in the city,” he was quoted as saying in an interview with Fars news agency. Saremi went on to say that some makeshift camps have already been set up to provide contemporary shelter for the affected people of the city. Army choppers and boats as well as the IRGC’s drones and helicopters have been deployed in the flood-hit areas for help. The devastating flood in Lorestan has had no casualties so far. 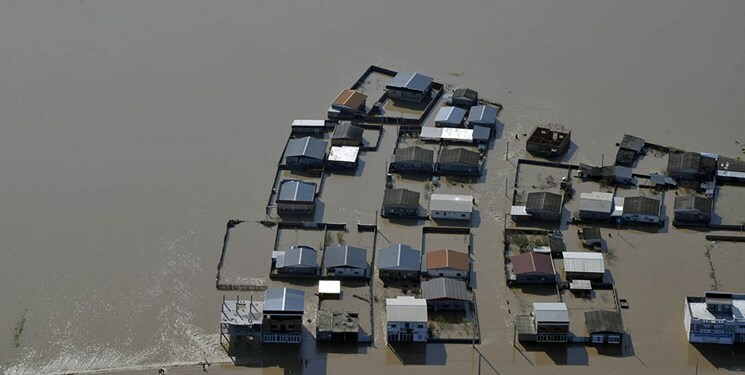 However, at least five thousands residential buildings in Pole- Dokhtar have submerged following the Monday flood of Kashkan River. The fresh floods of the past two days also cut all communication paths to the city leaving the flood-hit people in a completely desperate situation. All roads leading to Pole-Dokhtar were closed and the heavy floods hit the whole town with people totally besieged by waters. Following the fresh floods over the past days, all communication paths to Pole-Dokhtar were cut and conducting aid operations became possible only by rescue helicopters. At the earlier hours of the disaster, there were only three helicopters operating in the city and the shortcoming sparked criticisms from the flood-hit people waiting to receive immediate help from the officials. Reports say, the floods have completely besieged the western and eastern parts of Pole-Dokhtar and people remain desperate to find a way out of the plight. The disaster came after the Kaskhan River burst banks leading to the submergence of at least five thousand residential units. Meanwhile, over 100 villages in the vicinity of the town are now besieged by the floods requiring immediate extra-provincial services by the central government. Reports say, Pole-Dokhtar people are still deprived of basic goods amid harsh situation. Some experts warn that if no immediate measure was adopted immediately, the city could have faced a humanitarian crisis. Iran has been hit with three major floods over the past two weeks which coincided with the beginning of the New Persian Year. The highest level of alert has already been declared in Lorestan province. “In Khorramabad the water has risen by as much as three meters in parts,” the Islamic Republic of Iran Broadcasting (IRIB) reported. 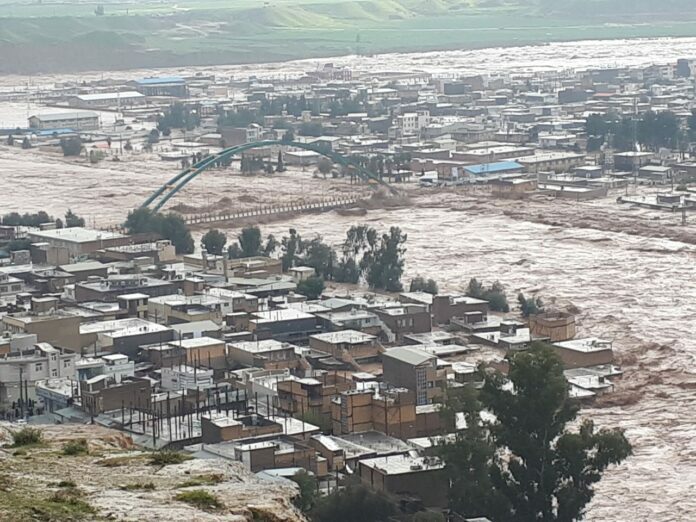 The first flood hit the northeast of Iran on March 19 and the second one struck the west and southwest on March 25, with a combined reported death toll of 45 people. 23 of Iran’s 31 provinces are affected by the floods and they also may face serious troubles.